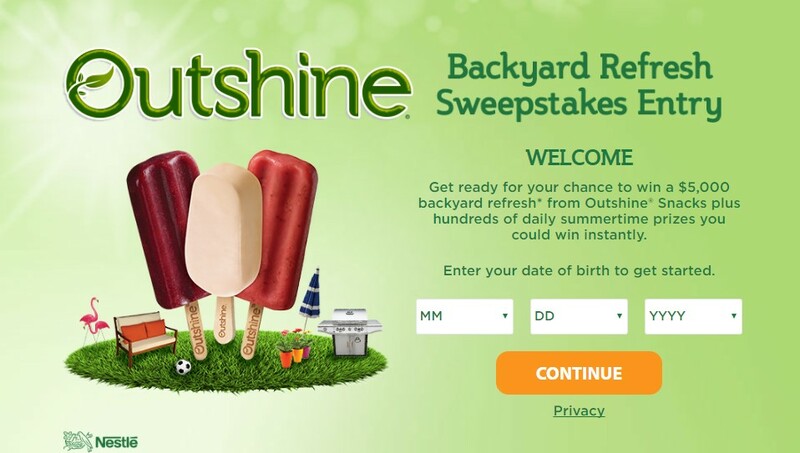 Nestle and Dreyer's Ice Cream have an instant win game where you can enter daily to win $5000 to spruce up your yard or instant win prizes from Outshine ice cream snacks! Sweepstakes Prize: ONE (1) GRAND PRIZE: A $5,000 check. Approximate Retail Value ("ARV"): $5,000. Instant Win Game Prizes: TWO HUNDRED (200) FIRST PRIZES: A summer prize pack. All details of prize pack are determined by Sponsor in its sole discretion. ARV: $131.70. 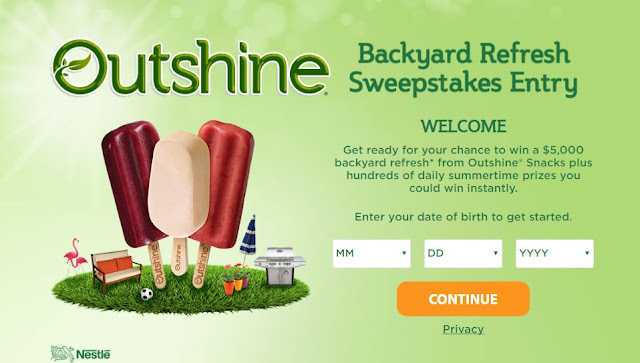 HINT: If you prefer to enter via Text To Win, just send the keyword SnackBrighter to their shortcode 30364. This Sweepstakes ends on 07/21/16 and you can ENTER DAILY to win.